There is little I understand about the housing market today. My house has been on the market for a year and a half. I’ve learned some important lessons along the way but other things continue to baffle me. The most important lesson I’ve learned is to hire a local realtor. The first year I used a very nice, experienced realtor from a distant suburb. We’d previously met, and I thought it would be good to work with someone familiar. Unfortunately, he priced my home considerably higher than the local market would tolerate. I only had two showings over the year, and that affects the current rating of the home. Potential buyers question why the house has not sold by now. I also have since learned that local realtors are reluctant to show a home with an outside listing realtor. I don’t understand why, but I guess it is part of the industry. My current realtor sells well in this area. Katie’s priced the home competitively and staged it to present well. She suggested I remove my dated and religious personal articles. She also brought in a few accent pieces. Katie also hired a professional photographer for clear, crisp photos. Home shopping today begins online, and that listing is key to getting buyers to look at the house. Our home is spacious, bright, and open. It’s also one of the cleanest you’ll ever see. We’ve entertained considerably here as my husband and I have a large circle of family and friends. And Marshall had an extensive museum in our basement which drew more visitors than I can possibly estimate. So this is what baffles me. I understand after seeing the home that a buyer may comment something such as “I don’t like the floor plan.” That’s something we feel when we enter a home, and often that can’t be changed. They don’t want to live on a golf course.—This house is on a golf course, in a golf community. I don’t want to live on that street.—They know the address when they view the listing. The house is too big—The square footage is noted in the listing. And my favorite, the buyer couldn’t get over that we had a microwave on the counter.—No worries, people! I won’t leave the microwave behind. Then there is the kitchen—It’s bright, efficient, and basic. I’ve cooked more here than I can imagine any future homeowner ever will. Everything works and works well. But it appears that not only do current buyers want updated counters and high-end appliances, they want them to their particular specifications. There isn’t a day that goes by that I don’t give thanks for the blessing of living in my home. I can’t imagine that I will live anywhere more luxurious. It’s been a haven of joy and love. And we have wonderful neighbors. But now it is time for me to move into something significantly smaller. May the next family here be as happy as we have been. Is that you? As you’ve read in previous posts, I’m a fan of high quality essential oils. They have so many uses to support health and happiness. I use them for everything from cleaning and air freshening to flavoring water. One way to benefit from essential oils is by diffusing. Most often this is done with a small appliance that spreads drops of the oil into the air with or without water. Diffusing is also done by placing a couple of drops of essential oils on cotton balls or a pendant and allowing the oil to penetrate into the air. Pendants made of clay look attractive and work particularly well. They can be made simply or intricately depending on your creativity. I had fun making some of these pendents for gifts and myself. I kept the rejects-which were many-and hung them in closets, my car, lingerie drawers, the laundry room, and placed them in my handbag and luggage. They also can be worn as a necklace which offers a way to enjoy the fragrance of your choice all day long. To make them, purchase clay that air dries, string, leather, or ribbon, and beads or stones of your choice. You also might want to look for stampers, but check around your home first for buttons, leaves, jewelry, or other items that can make a deep enough impression into the clay. Begin by taking a small amount of clay and knead it until soft and pliable. Roll out to the desired thickness. Thinner pendants are easier to wear. Thicker ones are best for larger spaces like closets. Cut into desired shapes. Gently press stampers or objects into clay being careful not to spread the clay. Take a straw, chopstick, small doll rod, or other round object to push through the top of the pendant for a hole for the string. Loop the string through the hole and then slide the desired beads onto the string. Another option is to glue a magnet on the back and use the pendant for an air freshener on the refrigerator door. Allow the clay to dry about three days. Then slowly drop essential oils onto the pendant. Be careful not to let the oil run to the back which can mark your clothes or object you place it on. The goal of gift-giving is to make the receiver feel special. Delicate flowers, scrumptious sweets, and sparkling jewels do the trick but our friends, Norm and Lupe Nielsen, wowed us far beyond that with their recent gifts to my husband, Marshall, and me. 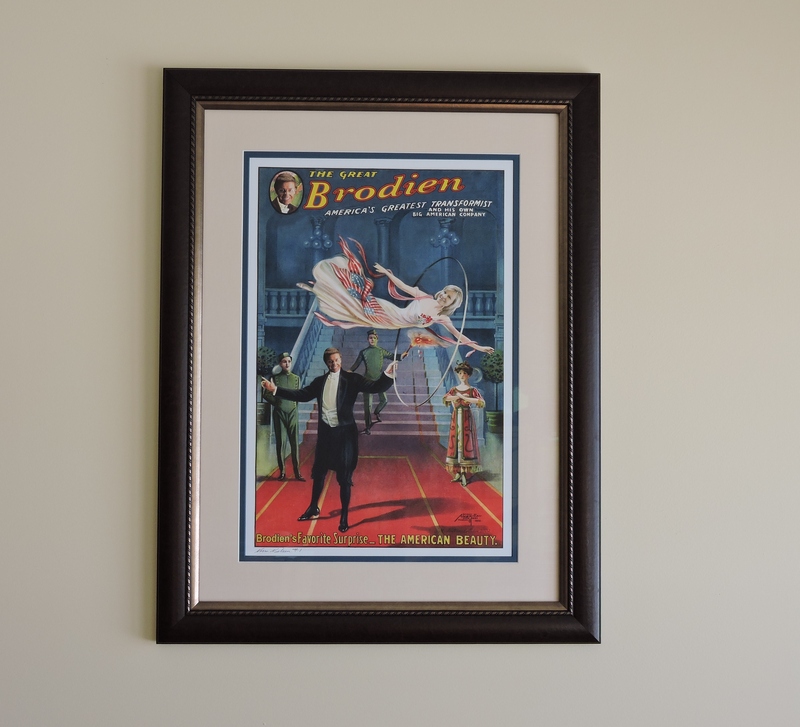 They sent each of us a poster with our faces inserted in the 1911 vintage magic poster known as American Beauty, which was once used by the magician, The Great Jansen. Every time I look at the poster, I smile. It reminds me to be playful and enjoy all that life has to offer, especially dear friends who surround us with love and support. Magic posters became popular during the Golden Age of Magic (1875-1930) to promote magic shows coming to town. The bright posters were printed in a process known as stone lithography, which produced intense colors never seen quite like it in any other form previously. Bold claims of the magicians’ upcoming feats added to the show’s intrigue. Clutter stresses me out. I cannot think clearly when my desk, office, or home is in disarray. I function better in clear, open, clean spaces. 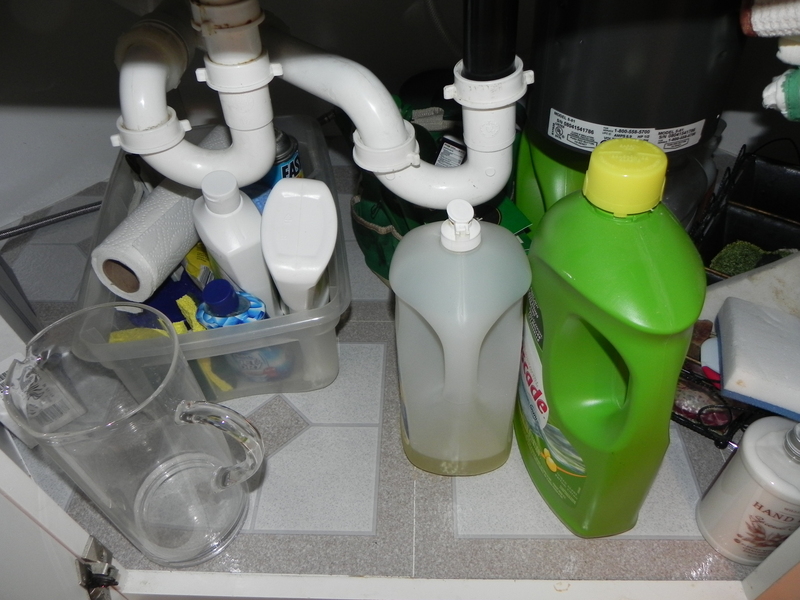 The utility closet with all the detergents has always been a test to my organizational skills. 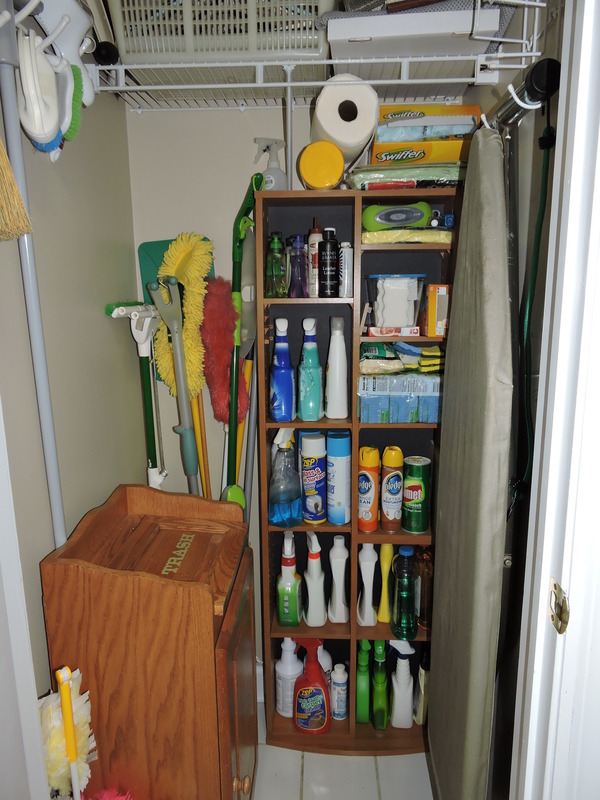 I had most of the cleaning products on a cart and rags in a basket, but things were so crowded together that it was difficult to find the item I was looking for or see how much we had of anything. By re-purposing some unused small furniture in my home, I discovered the solution. An old CD case now clearly displays all the detergents, and a trash/hamper holds the rags. The slim CD case takes up considerably less space than the cart and items are easily identified and retrieved. I’m so excited, I have to periodically peak in the closet just to admire how neat it looks. Look around your home and see how you may use something more efficiently that you already have . Thomas Edison would never have imagined how complicated shopping for light bulbs has become. We have to peruse a store’s entire aisle before selecting the correct shape, style, wattage and now the type of bulb needed. The traditional incandescent bulbs we’ve used are vanishing as they no longer can be produced in the U.S. and many other countries. The change is in favor of more energy-efficient lighting. According to the EPA, 90% of the energy going into an incandescent bulb is lost as heat. And the new bulbs do last significantly longer, so climbing up that ladder to change the bulbs is less frequent. In fact, the difference between the life of an incandescent bulb and one of the newer ones can be as much as 10-25 to one. So here are a few points to help you select your next bulb, or lamp as they also are referred to. We now have three main choices: Halogen, CFL, and LED. Keep in mind that the newer bulbs do come with a higher price tag, a different type of light, and some of their own health and environmental concerns. Halogen lamps are a type of incandescent bulb that is considerably more efficient than the traditional ones but not as much so as the CFLs and LEDs. The high operating temperature also may be a safety hazard in some fixtures. CFLs (compact fluorescent lamps) are the swirly ones. They last about eight to fifteen times longer than an incandescent bulb and their emitting color is improving. They are better for indoor use because they take time to warm up and may not be as bright. Most of these bulbs cannot be used in dimmers. The biggest concern about them is that they do contain a small amount of mercury which, if broken, is particularly dangerous to children and pregnant women as well as the environment. Light emitting diode (LED) bulbs are the most versatile and have an extremely long life.They also turn on and off instantly. They do not contain mercury or glass to break. Nor do they radiate heat or emit UV rays to fade upholstery. One of their drawbacks is their price, but they are getting cheaper. And they are a considerable saving in the long run because they last so long and require so much less energy. Odd as it may seem, one of the things that I’m excited about lately is my new mop. It’s exactly what I’ve been looking for. My floors are sparkling clean right now because I’ve been in a mopping frenzy. Most of the main floor of my house is hardwood, and I want those floors clean, especially for my grandsons who sweep across them on hands and knees. I prefer not to clean them on my hands and knees but most mops leave them too wet, which is not good for hardwood. 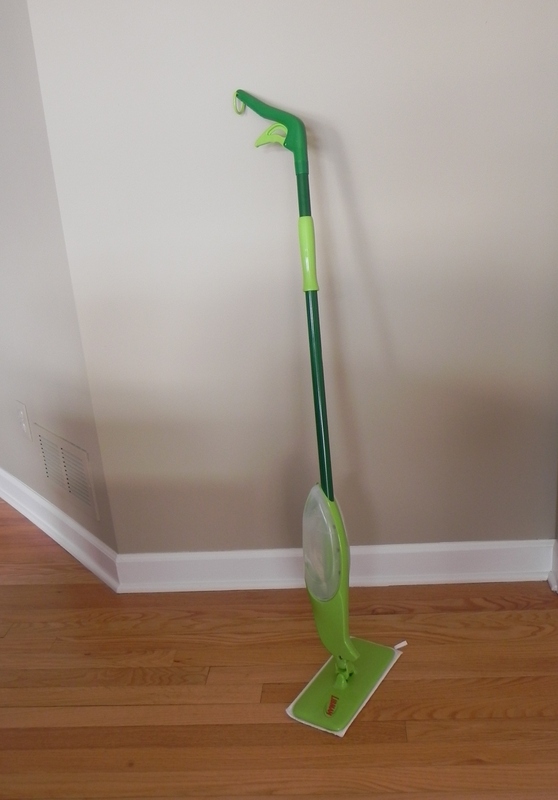 The new Libman mop is the perfect solution. It has an attached bottle that I fill with vinegar and water and allows me to spray when and where I desire. The flat swivel mop is small enough to get into narrow spots but large enough to cover enough floor space. Best of all, the pad is washable. No need to spend money on disposable ones. Just remove the pad that adheres on the mop head like velcro, toss it in the laundry, and replace it. If this mop is something you’d like, shop around for the best price. I paid $20 for mine at Meyers but see that it is more than twice that much on Amazon. Powerful cleaning supplies are available on the market to clean up the worst spills, but sometimes the least expensive and damaging to the environment are right at our fingertips. Vinegar, lemon juice, baking soda, and salt are all you need for most cleaning projects, and they have less risk of provoking allergies and asthma. Following are some suggestions as to how to use these items, but keep in mind that even though they are natural and relatively safe, they can cause damage. It’s a good idea to test a small area before proceeding any further. For example, vinegar can damage marble and lemon juice is a natural bleaching agent and can take the color out of items you don’t want whitened. Vinegar is one of the best products to use as an all-purpose cleaner. It is a natural disinfectant and deodorizer so is quite effective for home cleaning. Mix equal parts of water and vinegar together in a spray bottle and it will be ready at any time. Just use it with caution on tile grout because it can eat away at it. Remove mold. Spray the solution on the moldy area, wait for 15 minutes, and rinse. Mop floors (except marble). Pour ¼ cup of vinegar into a bucket of warm water. Clean the washing machine. Wash an empty load without soap, only vinegar. Remove water deposits from the coffee maker. Pour equal parts of vinegar and water into the coffee maker and brew. Run several cycles of clean water to remove any taste of vinegar. Disinfect the dishwasher. Pour ½ cup vinegar in a bowl and set it in the bottom rack. Run an empty cycle. Sparkle glassware. Soak glassware in a pan of water and some vinegar. Clear mineral deposits from a steam iron. Pour equal parts of vinegar and water into the iron and steam until empty. Turn off the iron, allow it to cool, and fill with clear water and steam until empty. Clean windows. Mix ¼ cup vinegar into two cups of water. Spray windows and wipe clean with newspaper. Lemon juice is similar to vinegar in its usage. It can dissolve soap scum and water deposits. Lemon juice is a natural bleach which is wonderful for brightening surfaces but use with caution in areas you do not want whitened. Rub lemon juice on hands to remove odors from raw fish and other foods like garlic. 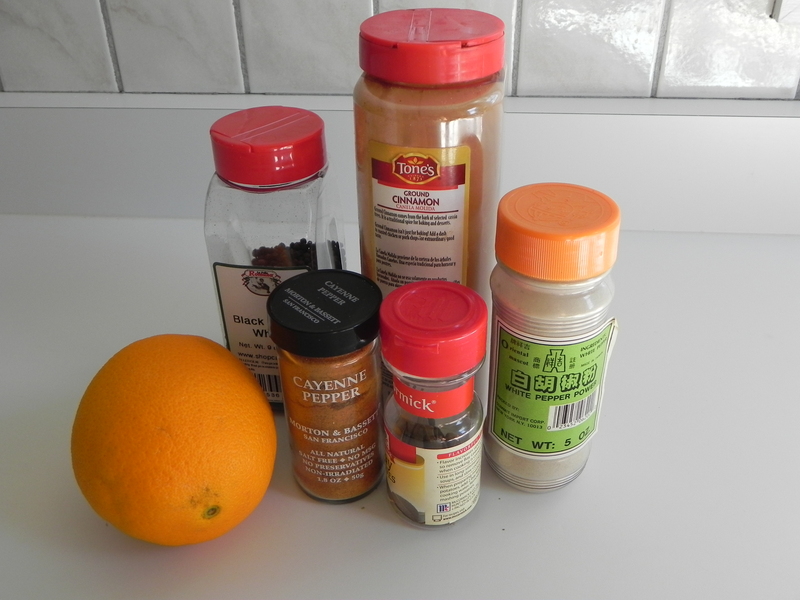 Make a paste mixing lemon juice and baking soda to clean brass and copper. Cut a lemon in half and sprinkle baking soda on it to use to scrub dishes and counter tops. Make furniture polish by mixing one cup of olive oil with ½ cup lemon juice. Dispose of citrus fruit peels in the garbage disposal to freshen the drain. Whiten laundry. To brighten whites add 1/2 cup lemon juice to the rinse cycle. Baking soda can be used as a non-abrasive cleanser to scrub away stains. Or you can dilute and soak items in baking soda and water to clean and brighten. Clean stove burner grates. Soak grates in a dish pan of warm water and ½ cup of baking soda for 30 minutes. Remove stains from teacups and coffee mugs. Soak in a mixture of two parts water and one part baking soda. Rub and rinse. Deodorize your refrigerator, trash cans, or laundry room by leaving an open box of baking soda in them. Deodorize upholstery. Sprinkle on upholstered furniture to remove odors, wait about 15 minutes, and then vacuum. Salt is an abrasive solution and great for scouring stains. Any type of salt works, although the larger the grind, the more abrasive. Absorb grease from cookware. Sprinkle, scrub and rinse. Do not use on non-stick cookware. Clean oven spills. Pour salt on the spill when it’s hot. Cool and wipe with a damp sponge. Discoveries are often found by accident. I recently made one such finding I’m excited to share with you. Japanese Beetles have attacked my roses for years. 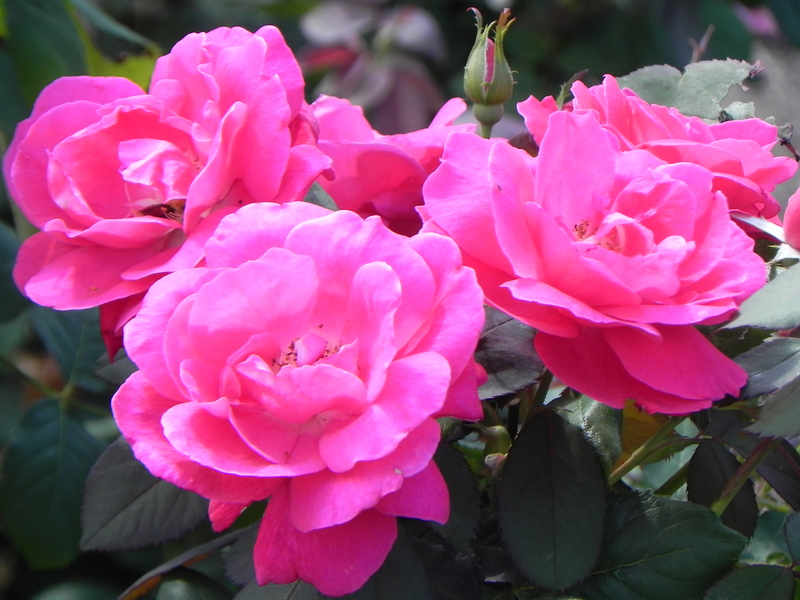 The healthy rose buds open only to serve as tasty treats for the visiting pests, who immediately destroy them. Sprays intended to prevent this do little to help. I recently set two unlit citronella candles out on the ledge of the deck during a barbecue. 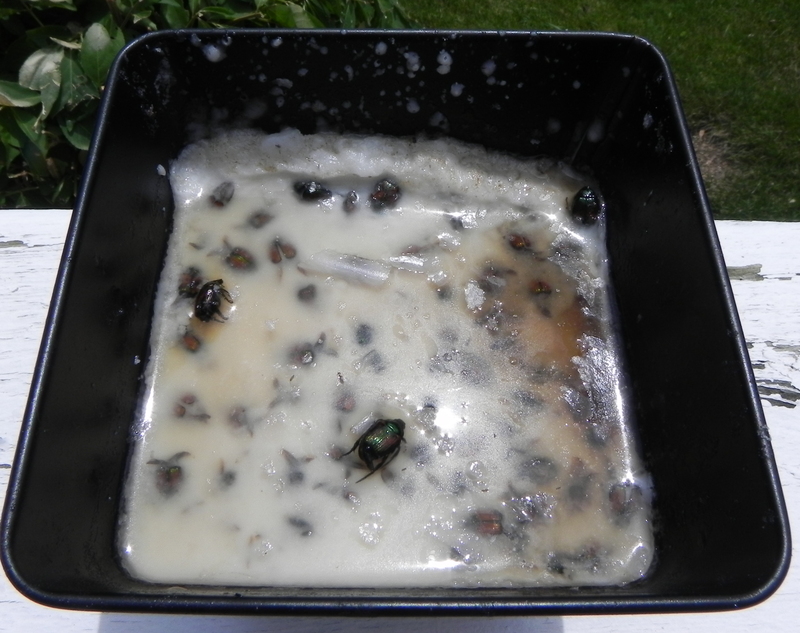 The following morning I found dozens of the Japanese Beetles frozen in the melted candles. I hadn’t even lit the candles. They melted in the warm sunlight. Citronella is considered a natural insect repellent, but it must actually attract the beetles, which then get stuck in the wax. I have moved the candles closer to the roses and am morbidly delighted to see this collection continue to increase. The roses appear to have less infestation, but I honestly am not certain if in fact I am drawing more beetles to the garden. Citronella oil is an essential oil obtained from the leaves and stems of different species of lemongrass. It is especially effective against mosquitos, lice, and stable flies. There are no known adverse effects when used as a topical insect repellent, including when used on children and people with sensitive skin. Citronella oil is used in chemicals in soaps, candles, and incense. It is also recognized as an antifungal. The easiest, quickest solution often can solve a disturbing problem. The challenge is in discovering that solution. The solution was to press self-sticking tiles over it, an idea I found on Pinterest. Within less than an hour I was able to cut and stick over the mess giving the cabinet a clean look. The tiles were 28 cents a piece from Home Depot. I used paper to make patterns for the odd-shaped tiles needed on the ends, placed the paper over the tiles, and slit the top of the tiles with a utility knife following the patterns. I then cracked the tiles along the slits. The job took nine tiles for a total of $2.52 and less than an hour to complete. No telling how much it saved me emotionally.